As the young boy walked through the village, the only thing on his mind was that fact that he had become a Genin. He had passed his families expectations and because of that he had rewarded. Becoming one of the fine ninja to serve his village under the power of the Yokage. A powerful man Meiji was. He was strong and resilient as a leader. Someone truly capable of being leader. The boy had left his scythe at the manner. He didnt need it. No reason to fight, he was only going down the street. As he kept on his pace he seen the kids in the streets running along without a care in the world. Without knowing the truths behind this world. The ninja world was at war, and tales of the Tailed Beasts rising were quickly spreading. The once powerful monsters that were created by the Sage of Six paths. Truly remarkable. The kids were all heading in the same the direction. A local neighborhood park. This park had a jungle gym and monkey bars. He had never played at this park when he was a child. He was always training and fighting. Something he was bred to do, something he was created to do. He didnt regret not having a normal childhood. He was truly at piece with himself. He was a fine ninja and a superb soldier. As he entered the playground there were many children running around and playing. He walked in and sat on the bench. He crossed his arms and let out a slight sigh. He was eager to get put on a team and be put on missions. He was ready to continue on his path on the ninja road. A path he walk for his whole lifetime. Ryolu had left the house early this day. He was out on his daily training regiment. He had to keep his body in shape and his mind sharp. He started with a light job through the village. He was well on his way when he heard his name being called. Hey Ryolu! He stopped and turned around. It was Samuel the baker. Ryolu used to help out in his bakery when he was a child. He walked over to the baker. Hey Sam! How are you? Sam studied the boy. Im good. Doing just fine champ. Hey listen i heard you made Genin. Congratulations. I have a gift for you. The man reached behind him grabbing a bag. The bag was full of pastries and other goods. Thanks Sam! Ryolu grabbed the bag and was on his way. Back on his run. He waved the man off and took off down the street. After his jog it was time to wined down. He stopped and seen the children playing at the park he walked in and went to the kids. Hey guys do you want some pastries? The kids rushed him each reaching for a something. Ryolu smiled and let the kids have them. He liked to share. Especially with the children. After the food was finished the kids asked him to play with sadly he had to turn them down. Sorry kids i gotta go back to my training. As he was about to leave he spotted Cross sitting on a bench. He thought it would have been rude not to stop by and give a friendly hello. He began walking towards the boy and fellow genin. Cross watched the boy idly. He had been watching since he had entered the park. His eyes were locked on him. He knew the boy from around the Yotsuki manner though he never interacted with him before. They were also in the same class. They graduated together along with the female that also lived in the enormous house. There were a lot of people and it was easy to get mixed up. While the boy was walking towards him he watched with noticing eyes. He had denied to play with the kids which meant he was probably doing something important. He thought for second wondering if maybe he would be put on the same team as him. They did graduate together so it was highly likely that this could happen. As the boy got close Cross began to speak. Hey Ryolu, good to see you. Hows it going? He said to the boy trying to strike up a conversation. Good thanks for asking. Ryolu said as he sat on the bench next to Cross. He let out a slight sigh and slid into his seat a little. He starred at the kids that were playing on the jungle gym. They seemed to be having a lot of fun. He looked over at Cross. I remember those days. Those days of being carefree. Those days as a child. Now look at us. We're Genin. We're moving up in the ranks. He smiled as he looked back at the kids. He ponder a thought. What do you think that chances are that we will be put on the same team? The girl walked through the village. Her body was bandaged from the waist up. She had remember the battle that she had with Sozaku. She felt her face softly. The force of that punch was enough to subdue her with ease. He was so much more powerful then her and so much more skilled. She didnt have a chance in that fight. She had her scythe on her back. She had always kept her weapon on her ever since becoming a Genin. Though the only times she wears her headband is when she goes to the training grounds on the Volcano which requires that you wear it. She was passing by the park when she seen two of her house mates seemingly engaged in conversation. She shuttered a little bit. She was very shy and didnt know if it would be ok to interact with the 2 boys. Deciding to try she walked towards them very cautiously and very timid. She began to staggered as she walked about to freeze up at any moment. Cross looked up at the sky and entertained Ryolu's words in his head. Those carefree days. He remembered a memory of him and his father. They ran through an open field. He didnt remember what it was until it finally hit him. This field was in Heat country. It was back during the warring clans era. He smiled to himself. You are very wise young Ryolu. And truthfully if we were put on the same team i wouldnt mind it. He said as he let out a little laugh. With your lightning and my scythe we could defeat anyway! He laughed more when he seen another Genin and fellow housemate, Senka. Seh was walking towards the boys. He smiled and waved at her. Yo! Senka hows it going? The girl walked up to the 2 boys. She felt welcomed by Cross' acknowledgement. Im doing well Cross. Thanks for asking. She walked over and sat on the bench next to Ryolu, putting him in the middle. Senka began to watch the children play. Hey guys i think i got accepted into Furashi-Sama's squad. We had a little fight the other day. She said with small excitement. Even though she was happy she was still in slight pain from the battle. Ryolu watched the girl silently. He noticed the bandages around her body, He had heard some of the other instructors who witnessed the fight talk about it. They said that she was blasted away by one punch. If she needed so many bandage wraps then it must have been a critical punch. He peered over and watched the kids play some more. He listened to her speak. Wow his squad?! Your lucky. I wish i was apart of his squad. He said looking at the girl again. A slow wind blew past and in a mere instant the Special Jonin appeared in a tree. The tree was located in behind the bench the 3 Genin were sitting in. It listened in on their conversation for a moment before leaping down. He landed in front of them with his back turned towards them. He spun around on one foot to face them. Yo! He said nonchalantly. He smiled slightly. Ive decided i want you 3 for my team. It took and long and exhausting process. He thought back on the things he did in the few days prior to this. He went from potential Genin to Genin looking for someone who would be the best student. All of them failed miserably. 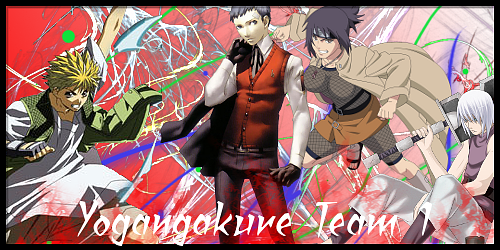 With the exception of a certain young lady he fought who had the sharingan. He shook his head snapping out of a daze. Anyway get suited and booted, and meet me at the Training Grounds in 20 minutes. The day is still early and i want to give you the initiation. He said before smiling and disappearing with a body flicker. Even though he was gone his words still lingered. Those who are late will receive a penalty. Before the girl could comment any further her mysterious and wise Sensei had appeared. 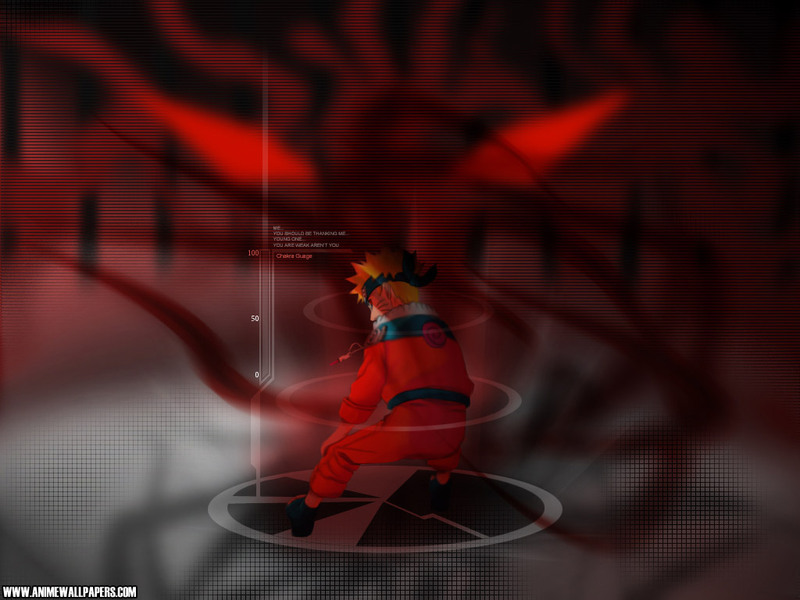 He appeared in a flash something she didnt even see coming, though her sharingan wasn't activated. She hadnt seen the man since she was dropped off by him after their little fight. She smiled and gave a look of surprise as he told them all the good news. They were all accepted into his squad and they were to report for formal training in a few minutes. She shrieked slightly as he disappeared but his words till lingered. She immediately hopped up and took off running towards the training grounds. She didnt wanna be late she didnt know what the penalty was but she didnt want it to happen to her. She waved at the boys as she took off hoping to see them there by the time she got there. Ryolu looked in amazement as the man appeared before them. He sure was a flashy guy. His expression changed to a smile once he learned the good news of becoming one of his apprentices. Then as quickly as he appeared he disappeared. It was then that Senka jumped up and took off. She waved at the boys as she did this. He was surprised really. He was wondering when he would be assigned to a team. And now his dream had finally came true. He turned to cross. Well see you on the training grounds, partner! With that he gave Cross a thumbs up and took off down the road as well. He was running right behind Senka. Cross was the last one to leave. His new found team had taken off to the training ground. He stood up and was preparing to follow them when he realized that he left his scythe at home. He smacked his head softly. He turned in the opposite direction going to go grab his scythe before heading to the training ground. He hoped that he wouldnt be late to getting to the training ground for he didnt want to find out what the punishment would be for being late. A man would be watching in the shadows with no one unaware he was there. A smiles runs across Zero's face and he turns around and vanishes in the depths of the village hidden in the lava.